Here is part two of The Church, the Kingdom and Human Government—a three-part essay from Grace Communion Seminary President Gary Deddo (click here for part 1, and here for part 3). As noted in part 1, there is an “already-but-not-yet” aspect of the kingdom of God. Though it has already broken into the world, its fullness is not yet seen. Though Jesus is now Lord of all, it does not yet appear that all things are subject to his rule and reign (Heb. 2:8, ESV). Though Christ’s victory is complete, it is not yet fully apparent—it has yet to be fully uncovered (revealed). The witness of the church is partial, temporary and provisional (more on that below). It serves as a sign (parable or pointer) of the rule and reign of Jesus (Acts 5:12). It points forward to the consummation that is yet to come when Jesus returns (Act 2:22). In that way, the witness of the church is like the earthly ministry of Jesus, which did not set up the fullness of the kingdom. Instead, Jesus pointed forward to a future coming of his kingdom. Through the earthly ministry of Jesus (including his death, resurrection and ascension), the kingdom was inaugurated, though it has yet to be fully consummated (realized). Because that consummation is yet to come, we wait with expectancy, hope and patience (Rom. 8:25). However, our waiting is not passive, for we are called to the mission of witness—the ministry of declaring Jesus Christ and his coming kingdom, so that others may come in and participate now in his church. Our mission as the church is to declare the kingdom, not set it up or substitute for it. Nowhere does the New Testament teach that the church’s witness will gradually and inevitably turn into the kingdom. Were that the case, the church would cease being a witness (a sign) and turn into the reality to which the sign points. That the church’s witness will expand in the world is implied in Scripture, even assumed. However, that expansion should not be confused with the full manifestation of the kingdom and the coming of the new heavens and earth. It is a mistake to confuse the church and the kingdom. Such confusion sets up unfounded expectations of the church and leads to disillusionment and bitterness concerning either the failure of the church or, even worse, the failure of God to accomplish through the church what we wrongly expect of the church in this current “evil age” (Gal. 1:4; 1 John 2:8). Scripture teaches that, when he returns, Jesus will bring the kingdom in all its fullness to earth. In the present age, prior to the return of Jesus, God grants to the church the privilege of being a sign that points to the coming kingdom. The fact is that the church fulfills this mission of witness imperfectly. As Jesus indicated in the parable of the wheat and tares (Matt. 13:25-30, KJV), his church will not be perfectly pure in this age. The book of Acts and the Epistles, along with the record of church history, bear witness to this fact. The imperfection of the church contrasts with the perfection of the kingdom, in which there will be no mixture of good (wheat) and evil (tares). Evil will have no place in the kingdom of God. Indeed, evil has no future. 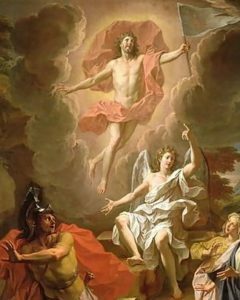 This reality is secured by the resurrection and ascension of Jesus, along with Jesus’ promise that he will return with power to put an end to all evil and to vanquish death and all suffering (Rev. 12:10). The church’s witness is partial. It is unable to display the full range and depth of what God’s kingdom will be like. What the church does and says will only indicate a limited part of what the kingdom is about. The church will not be able to point to every dimension of the kingdom equally well. The witness of the church, as important as it is, will not bring about the completeness of the kingdom. Instead, it points beyond itself to the fullness yet to come, bringing forth anticipation and hope in the hearts of those who, in faith, look forward to the coming kingdom. The church’s witness is temporary. As the church embodies signs of the kingdom, those signs will often only last a little while then wear out, become degraded, and sometimes even corrupted. As beneficial as this witness is, it cannot be sustained indefinitely. New forms of witness will always be needed as the old ones are forgotten, fall away or become no longer viable or relevant. The church’s witness is provisional. It is not the reality, though it is a sign pointing to the reality—the coming kingdom of God. In that way the church’s witness engenders hope that exceeds what the church can accomplish here and now before Christ returns and evil is vanquished as all things are made new. Though partial, temporary and provisional, the church’s witness is vital. In obedience to God’s commands, the church bears witness to its King and his coming kingdom, knowing that it is Jesus Christ who has promised that the kingdom of God will come. Sadly, the church has often turned aside from this calling, failing to offer the world partial signs of the kingdom’s coming reality, thus failing to be a provisional beacon of hope to the world. It has settled for becoming much like the surrounding culture. Instead of witnessing to the kingdom, the church has, at times, tried to make itself the kingdom—it has tried in vain to establish the fullness of the kingdom on earth now. In making that mistake, the church has assumed for itself a task that is reserved for Christ, becoming in its own eyes an end in itself, thus falling into the sin of idolatry and often compromising itself in the use of worldly power to achieve an impossible ideal. We have seen that the church is not the kingdom. Now we need to see that human government is not the kingdom. Just as the church does not evolve into the kingdom (despite misguided attempts by a few church leaders to bring about that evolution), human government cannot evolve into the kingdom (again, despite attempts in that direction). Scripture makes it clear that God’s kingdom is not a human kingdom. Human government does have an important, though limited, purpose in God providence. This is seen in Jesus’ teaching regarding distinguishing between what belongs to Caesar and what belongs to God (Mark 12:17). It also is seen in the way the apostles interacted with the Roman government of their day (e.g., Acts 4:19 and Rom. 13:1-7). In this age, human government has a limited purpose defined by God and has been assigned limited authority derived from God. Many don’t recognize that purpose (with its limitations) but the church must. By God’s decree, the purpose of human government is to maintain fundamental social order and human justice, seeking the common good within the limits defined by God. No human government can rightly regard itself as absolute. Rather, all exist under an absolute that transcends human rule and reign. No human government has absolute rights over any human being, since all human beings belong to God. Humans are creatures of God, not of any human ruler. It’s also important to understand that human government is limited in the good it can accomplish. Why? Because humans are unable to banish all evil and to prevent evil’s perpetual temptations. Human government cannot heal and transform the human soul, it cannot reconcile alienated human beings, and it cannot undo or redirect the past. No human government can make all things right—they are unable to renew and restore all things, including the past. Therefore, the church must not expect human government to solve all of humanity’s problems. No human government can turn itself into or otherwise bring about the kingdom of God by being the perfect, ideal government on earth before Jesus returns. Nevertheless, the church should expect some good to come from human government. Keeping in mind the limited responsibility that God gives it, the church should remind civil leaders of the range of authority they should exercise for the common good. The church should also warn leaders to not neglect the responsibilities that go with their authority, and it should speak out if government exceeds the boundaries of those God-given responsibilities, especially when acting as if they have absolute authority and are answerable to no higher authority than themselves—whether that authority be God or, if not God, a moral standard which all governments ought to abide by. Though human governments often are unaware of their God-given purpose and limited range of responsibilities, that lack of awareness does not eliminate the truth. One of the church’s tasks is to bear witness to human government concerning this truth. That is what we find the church doing in the New Testament (e.g., Acts and Romans). In bearing witness, the church must be realistic in its expectations of human government. In this present evil age, no government will be perfect, and none will establish the ideal human community. All human governments, like the citizens they are called to serve, are endangered by evil. They rise and fall, they come and go. No human governments (together or individually) will ever be able to bring about the kingdom of God. Christians should not believe that human governments can do that, thereby confusing human government with the kingdom of God. Only God can (or should) be worshipped. Worship of any human leader or government is idolatry. Forgetting this was the huge mistake made by much of the church in Germany during the rise of the Nazis in the 1930s and 40s. In that dark time, most of the church in Germany surrendered itself to Hitler, believing that the greater good of God’s kingdom on earth would thereby be created. This happened in large part because these Christians mistakenly believed that Hitler could establish God’s ideal on earth—the kingdom of God. Because they believed that, they also believed that the great end the envisioned justified any means used to bring it about. They were terribly mistaken. The reverse is also true. The coming of the kingdom of God will not amount to the installation by God of a perfect, ideal human government. God will not raise up a human-led government to serve as his kingdom on earth. Rather, God will reign through the Spirit fully manifested in every human life, and so lived out in gladness and freedom in and through all their relationships and activities. God himself will be their light. God himself will banish evil. God will end all suffering and resolve all regrets of the sinful past. God will reconcile all things and right all wrongs. In God’s kingdom, righteousness (right relationships) will not be legally imposed or socially enforced. Rather, righteousness will flow unimpeded from God through human hearts and minds and (figuratively) out through their hands and feet. In the kingdom of God, there will be no pride, arrogance or temptation to self-justification. All barriers in the way of fully receiving all from God and passing it on to others will be torn down. The kingdom will be fully manifested, not externally, but from within and among all those who come under God’s rule and reign—all who enter God’s kingdom when invited, leaving behind all other kingdoms, all other loyalties, all other priorities. Citizens of God’s kingdom will be the true children of God who will, for the first time, experience true freedom to the full. The church must not try to turn itself into an earthly government in this time-between-the-times. It also must not try to build the kingdom on earth by human means, through the agency of human government. The church must never seek to displace and take over the vocation of human government. The church is not going to bring in the kingdom, and it is not going to become God’s ideal form of earthly, humanly mediated government. Neither the church nor the kingdom amounts to the installation of human government. In the kingdom of God, Jesus himself, by the Spirit, will rule and reign in human minds and hearts in a new heaven and earth. It is this renewal of all things that will constitute the coming of the kingdom. Though Jesus will not turn his kingdom rule over to its human citizens, those citizens will share (participate) in his rule and reign, and do so perfectly, by his word and Spirit. At that time (and not before) it will be clearly manifested that Jesus has indeed “overcome the world” (John 16:33). We will reign under and with him, sharing in his kingly victory. In the meantime, awaiting the coming of the kingdom, the church is called to bear witness to the world, including its various human governments, concerning the Lordship of Jesus Christ and the coming kingdom of God (Col. 2:10; Eph 3:9-11). It is called to do so by being an embodied sign of the hope of the coming kingdom. That hope will not be presented as involving the development of a human government ruling and reigning perfectly. Though the church will bear witness to the limited but good purpose for human government (and speak out when governments fail in that purpose), it will not confuse human government with the kingdom or with the church. The church, in its witness, will support and respect human government and contribute to its best practices. However, the church, when needed, will also critically engage government when it exceeds its God-given, limited boundaries. In that witness, the church must never abandon its God-given, Christ-founded, Spirit-empowered vocation of worship and witness by which it serves as a beacon of hope in this present evil age. Lord, give us courage to be your witnesses in this world! In Greek, the first word and title of the book of Revelation is apokalypsis (from which we get the word apocalypse). It means to uncover or reveal. For the clear understanding that the kingdom of God is the future hope of God’s people, see also: Matt. 13:41-43; 24: 14; 26:29; Luke 19:11; 22:16-18; John 18:36; 1 Cor. 15:24; 2 Tim. 4:18; Rev. 11:15. Even Jesus’ raising of the dead was not permanent. The persons (e.g., Lazarus) that Jesus raised eventually died again. These resurrections (really resuscitations) were signs, and Jesus did not raise everyone from the dead during his earthly incarnate ministry. Jesus’ resurrection, however, is permanent. His death is once (and for all). It is the reality to which the signs point. See the Barmen Declaration issued by the underground Confessing Church in Germany at the time of the Third Reich of Hitler and the Nazis. That document stands as a modern witness against the abuses of governmental authority and the acquiescence of any church to that abuse, as in the case of the so-called “German Christians” of the Reich Church of the time. Thanks much for another fine and important contribution. A connected issue is the “social justice” controversy, a discussion that has been dividing the evangelical church. Is social justice part of the Gospel, or is it rather a fruit of the Gospel? That might be a question worth explaining from our own denominational perspective. Within the context of your article I found the following essay excerpt by W. Bentley thought provoking. “The Church’s mission, stemming from its creation in God’s self- revelation and from its relationship with those who exist within and alongside it lead the Church to another form of mission. The Church, dealing with people, also has to interact with institutions that govern, shape and guide humankind. This places the Church in a relationship with the State. The world, which the Church serves and to whom the Church testifies concerning God’s revelation in Jesus Christ, is governed by politics. The Kingdom of God is not an immediate global reality, but in the Church’s existence, is an eschatological goal in creation. As much as the Church has been engaged in the world, and with politics, history has shown various reactions by the Church to the, State. These vary from full participation with the State as displayed in the Roman Church’s influence in the pre-Reformation era, the Reichskirche in Germany during the early 20th century and the Reformed tradition’s (in South Africa) endorsement of the Apartheid regime in South Africa during the mid to late 20th century. On the other extreme, there have been movements in the Church protesting against the named Church’s stances and segments of different denominations that have refused to participate in discussion and simply removed themselves from this fellowship between State and Church, whatever the relationship may have been. Barth is direct concerning the place of Christian engagement with the political realm. To Barth, Christians are not called to be passive observers of their situation (Barth 1956a:711), but carry a responsibility both as people of faith and citizens of their respective countries to engage with the powers and facilitate discussion, especially concerning matters that are against the morals and principles of the Christian faith. Shall the Church then view the State as an entity that exists as the human effort to bring about justice, peace and the ideals of the Church? It may be tempted to do so and then label the State as a form of False Religion, but this is not the case. Barth (1960a:144) describes a very delicate relationship between the Church and the State. On the one side, the Church has the responsibility to observe and critique the State’s actions. Nevertheless, it has to do so using a very specific point of reference. Its own identity in engaging as both observer and critic of the State is not undertaken with the understanding that the Church possesses a higher morality, divinity or divine perspective. Neither can it engage in these acts, pretending to be an opposition-party to whatever political party is in power. The Church’s main perspective arises from the call to be in partnership with the State (Barth 1960a:144). This may be an extremely sobering concept for the Church. The notion in the Church that it is the sole builder of the Kingdom of God is therefore denied. Once again, we must be reminded that the Kingdom of God is not one built by human initiative, but is purely God’s act of grace, facilitating creation’s response in faith. The Church is not the Kingdom of God”. Thanks for this comment Santiago. In part 3 of this essay, Gary will address the role of the church in social justice issues as he continues to explore the interaction of the church and human governments. Stay tuned! thanks for these timely contributions. we await the part 3.